We help clients spearhead to financial opportunities. capable of earning extra money . NP Financials is a privately-held proprietary trading firm. We believe in simplicity in our trading pathway. Our vision: if it is not simple, it is not working. At NP Financials clients trade live markets with us- earning a second income. Our trading models are developed based on over 21,000 hours of research & development on market behavior. We trade using our proprietary trading models which are based on logical and mathematical computations. Our trading models are built to handle even the most challenging market conditions. We follow our stringent money and risk management trading rules to achieve robust performance in different market requirements. Our Head Trader is equipped with unshakable trading expertise and knowledge. He loves sharing his expertise with our clients. Prop desk Trading for last 8 years. Mentoring & Coaching more than 800 Traders. Delivering approximately 300+ one, two & three day Trading Seminars. Conducting approximately 300+ one and two day live Trading boot-camps. GO Markets is an established Australian based and operated company (AFSL 254963). 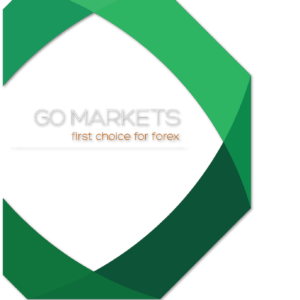 Take advantage of very tight spreads from 0.0 Pips on the New GO Plus+ With the GO Markets MT4 demo, standard and pro MT4 accounts, you get access to a variety of global markets including Forex, Indices, Commodities and Binaries, all from one account. GO Markets provide a low latency environment coupled with their extensive price feeds so that you can execute your trading plans with precision. N P Financials has an IB relationship with GO Markets.